Warm Springs Optometric Group, your choice optometrists in Fremont, is here to help you choose the right eyeglass frames for your lifestyle. We offer a full inventory of designer frames and a variety of styles of glasses to suit your life. Whether you are looking for frames that can withstand the fast-paced action at your workplace or are most interested in the most current styles, we have you covered! 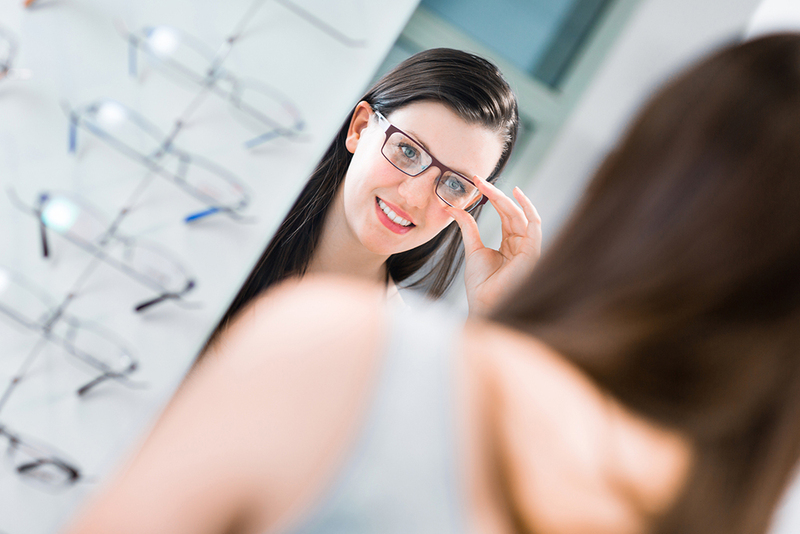 Eyeglasses, in addition to correcting your vision, are a great accessory that can complement your everyday style. If you are looking to update your look, or are you are choosing your first pair of glasses, it is important to get the right shape that will be both comfortable and work well with your face shape. There are distinct face shapes, and some frames work better than others, depending on the shape of your face. If you have a round face, the frames that flatter your face shape will probably not look as nice on someone with a more angular bone structure. Face shape guidelines can also help you to narrow down the choices when making your selection. A good rule of thumb to adhere to is choosing the most flattering shape for your face, whether yours is round, square, heart, or oval shaped. For instance, aviator shaped or oval frames are great for people with square-shaped faces, while rectangular and cat eye frames work great for those with heart-shaped faces. Our optometrists are skilled in understanding the different needs of our patients, and they can offer a lot of helpful guidance when you are choosing the right frames for you. If you are unsure of which frame style is best for your vision and stylistic needs, we are here to help! Frame selection helps you to choose the right eyeglasses that are the proper fit, work well with your corrective lenses, and are something that you will comfortable wearing every day. Many of the frames that we offer are attractive and sturdy and are tough enough to withstand your daily routine. If you are in need of new eyeglasses, or you are looking for your first pair, our opticians and optometrists in Fremont can help you find the glasses or designer frames that suit your lifestyle and look great! Give us a call today at (510) 490-0287 to schedule a consultation. The Warm Springs Optometric Group is conveniently located at 194 Francisco Lane in Fremont.